PRACTICE MAKES PERMANENT?! Don’t you mean Practice Makes Perfect? No, here at KarateThrows.com we mean Practice Makes Permanent. Only through correct and consistent practice and repetition can you hope to improve your karate and martial arts skills while developing muscle memory. If you practice incorrect or sloppy technique, that is what your body will perform, PERMANENTLY. Our mission at KarateThrows.com is to help you successfully progress and improve your throwing, sweeping and unbalancing techniques. KarateThrows.com is appropriate for Students, Instructors, Coaches and Competitors looking to add excitement and advanced skills to their karate training. From Youth to Adult – all skills levels benefit! 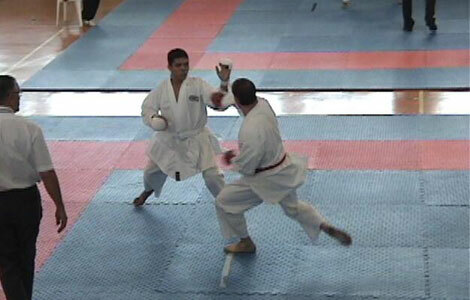 At KarateThrows.com we teach JKA Style Shotokan Karate. Our club is a member of the AJKA-I and is the East Coast Training Headquarters for the United States. AS PART OF YOUR SUBSCRIPTION… you gain full access to personalized advice to help you learn each technique properly. Just email a video of yourself to our staff at info@karatethrows.com. Our instructors will view the video and respond with insightful guidance.